Learn how to insert or remove the SIM and SD Card tray in the standard Samsung Galaxy S7 with these steps. 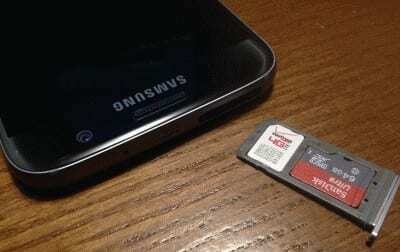 Locate the SIM and SD Card tray on the top edge of the device. It will have a small hole on the side of the door. Gently insert the eject tool included with your phone or a paper clip into the eject hole. The tray should eject from the slot. Remove the tray from the slot. Gently slide the tray back into the slot arranged as shown in the photo below. It should click into place. This post applies to the SM-G930F and SM-G935F (Edge) Models of the Samsung Galaxy S7 smartphone. Sam says was right!!! Just JAM IT like you hate it! It’ll come out once it knows who’s the BOSS! I’m extremely beeped off. Having had a new dual tray ordered and paid for because of nano that had slipped and lodging itself deeply into phone after original tray which basically disintegrated in hand. Only wanted to put an SD in originally which led to me without phone for a month and now has to go back to shop as it won’t completely slot in. Getting extremely exy. ggrrrr…. 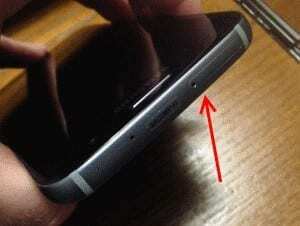 Why the hell would Samsung do this to such an awesome product just as the hare was catching up to the Apple!!??! Am extremely disappointed in my most reliable and favoured company..
Should I start begin to save and move onto the shady Apple with my many Ss devices? Whoever designed this should be fired! 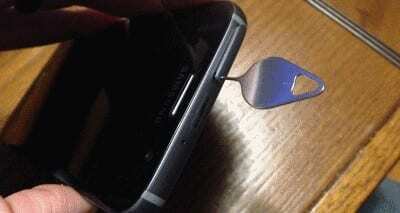 Successfully keeping the sim card and the micro sd from falling out when putting it in is a pain. Usually takes 20 minutes of reinserting one or the other until finally able to slide the tray in. The older Galaxy had 2 separate slots where nserting and removing was extremely easy. Now we have this pos. If the following Galaxys have this pathetically stupid tray, I’ll go elsewhere. This helped me. Thanks especially for the pictures! IMy phone didnt come with the tool. All i had on hand was a little papaer clip. With a bit of force the tray poppped open for me. Hey all, it wasn’t ejecting for me either. But I realized I was being too gentle. You need to push it in harder even though it’s uncomfortable and you don’t want to ruin anything. Give it a little force and it should come out. I inserted the eject pin that came with my Samsung S7 in the small hole but the tray isn’t being ejected. What should I do? The drawer is not reacting to inserting a paperclip. Is there something else that I need to do? I inserted the eject pin that came with my Samsung S7 Edge in the small hole but the tray isn’t being ejected. What should I do?